We offer help for the homeless, poor and addicted in the Twin Cities through meals, shelter, recovery, education and job training programs. Struggling? You are not alone! Union Gospel Mission is here to help when you need it most. 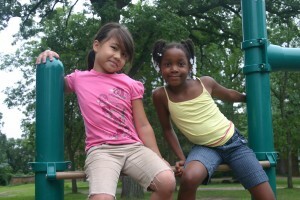 Union Gospel Mission Twin Cities serves men, women, and children facing homelessness, poverty, or addiction. With the help of generous donors and volunteers, we meet the basic needs for food and shelter. But we do so much more, starting with making disciples through the love of Christ! The Gospel serves as the foundation for everything we do, because we believe that life change occurs primarily through a personal relationship with Jesus Christ. Since the founding of our ministry in 1902, we have learned the very best ways to get men, women, and families off the streets through our time-tested and effective recovery, education, and job training programs. Union Gospel Mission Twin Cities provides more than 400,000 meals each year to hungry and homeless neighbors, poor families, veterans, and seniors on limited incomes. A nutritious meal is often the first step to real and lasting change for someone with no where else to turn. At the Mission, hope begins with a meal! Union Gospel Mission Twin Cities’ shelter programs provide safe housing and care for men, women, and mothers facing homelessness. 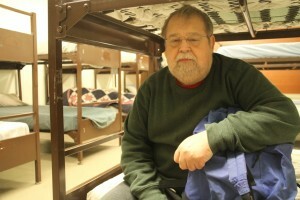 Our shelters provide a safe place to sleep and the pathways to build life skills and stability. Alcohol and drug addiction are often at the core of chronic poverty and homelessness. Our residential recovery program uses Christian principles to help men gain full recovery. The Mission changes lives through its education program. Whether a student needs to brush up on academic skills or needs a GED so he or she can become self-supportive, the Mission offers it all. The Mission also provides a comprehensive job coaching support network to help the “difficult to employ” find and keep self-sustaining employment. The Mission has a long history of engaging at-risk children and teenagers in positive activities that will help them succeed. In every program, we focus on raising up young people who will love and serve God. Ober Community Center — building up inner city youth and preparing them for success through life-changing after-school and summer programming that focus on STEAM–science, technology, engineering, the arts, and mathematics, along with Christian discipleship.